The musical miscreants at Pitchfork are offering up the first sampling of Last City Zero, the forthcoming debut full-length from recent Neurot Recordings signees, CORRECTIONS HOUSE. A shadowy legion of lost souls, fused together by the impulsive forces of nature and altered states of consciousness, CORRECTIONS HOUSE is the maniacal creation of Mike IX Williams (Eyehategod), Scott Kelly (Neurosis), Bruce Lamont (Yakuza), Sanford Parker (Minsk) and their minister of propaganda, Seward Fairbury. Produced by Parker at Electrical Audio, Soma Studios, 60 Psycho Hum and Nodferatu’s Lair, Last City Zero offers up eight psychologically alarming hymns that span well beyond the traditional confines of sound. At once cold, mechanical, prosaic and pungent, Last City Zero is a full body experience rather than a casual listen. 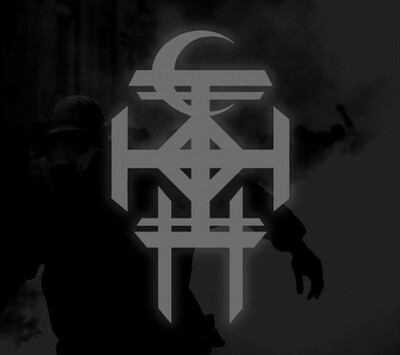 CORRECTIONS HOUSE embrace the worthless, the diseased, the forgotten, their sprawling anti-soundscrapes and acidic verses — at once beautifully hideous, graceful and terrifying — a manifestation of societal ruin and psychological decay. The transformation of time and space; death begetting life and veils being torn; an imposing dissonance too penetrating to dismiss…CORRECTIONS HOUSE systematically create and destroy through audio disease and transcendent musical deconstruction. Last City Zero will be released in UK/EU on October 28, 2013 via Neurot Recordings.